Library Journal’s reviews are both positive and negative, and make recommendations both for and against purchase. Our reviewers are encouraged to compare newer titles to materials that are already held in most library collections. Each title is evaluated on its literary and illustrative quality, its clarity and accuracy of presentation, as well as its appeal to the intended audience. Submission does not guarantee review. Due to the great volume of materials submitted and space limitations, we cannot review every work sent to us. The editors decide which books and multimedia materials to review based upon potential interest to LJ readers. All submissions of books and multimedia materials become the sole property of Mediasource, Inc.; requests for return of materials or other restrictions cannot be honored. Due to the volume of materials received, receipt or acknowledgment of submitted materials is not possible. Similarly, information on the status of submitted material is not available. Publishers may request information and a copy of reviews of their materials by contacting their sales representative. All reviews are final and not subject to change. Due to the volume of submissions and reviews in progress, it is not always possible to communicate with every publisher about the publication status of every review. Library Journal reviews new general trade books, original paperbacks, e-originals, reference books, and professional development titles for librarians and educators. The reviews are available online and select reviews appear in our monthly publication. LJ reviews are also licensed to book distributors and vendors. Books are selected for their potential interest to a broad spectrum of libraries. Only a few areas of publishing fall outside LJ‘s scope: textbooks, children’s books, very technical or specialized works (particularly those directed at a professional audience), and books in languages other than English. We do, however, consider bilingual editions. Books previously published abroad are eligible if they are being released here for the first time and have a U.S. distributor. Books must be of national interest and be readily available from national distributors. Review copies must be received at least three months before the month of publication. Books received later than that are generally not considered. Review coverage is not automatic; many books submitted are not reviewed. We will accept bound galleys, bound page proofs, or bound manuscripts (only one copy is necessary). Those publishers (small houses) that cannot supply advance bound galleys may submit finished books, but these should be sent as early as possible with the words “In lieu of galleys” and the publication date affixed to the cover. We generally avoid reviewing books later than date of publication, though we do make exceptions for reference and heavily illustrated works‚ if F & Gs are not available, send the finished book as early as possible. Send materials along with following bibliographic information for each item: Author, title; name, address, and telephone number of publisher; date of publication; price; number of pages; and ISBN and LC numbers if available. Please indicate whether any illustrations, an index, or bibliography will be included; also include a brief description of the book, its intended audience, and information on the author’s background. Occasionally, an additional copy of a book may be requested. Please follow up review galleys with a copy of the bound book. Neither books nor galleys can be returned. For questions related to book submissions to LJ, please contact Stephanie Klose; sklose@mediasourceinc.com. E-galleys should ideally be uploaded to NetGalley at least two months prior to publication date; our editors and their reviewers assigned particular galleys require a minimum of 60 days of access to e-galleys to account for production schedules, delays, and life emergencies. Publishers must alert LJ that the e-galley is available via email to this address: egalleys@mediasourceinc.com. Title, subtitle, author, publisher/imprint, publication date, page count, ISBN(s), price(s), e-formats, vendors, and if there are illustrations, photographs, an index, a glossary, a bibliography, or any special features that enrich the reading experience. If the book is part of a series, indicate the series name along with the volume/book number. Concise, accurate catalog copy about a title’s plot, scope, author, and marketing plan. Questions we often ask ourselves while assigning that you should answer in advance: Is the book in question a debut? Will it have library-targeted marketing and include reading group guides? Have any of the author’s previous titles hit a best-sellers list or won awards? Is this a midlist author you’re hoping to break out? Emphasis for seasonal lead titles. When making our review decisions, we take into account how much push a publisher is giving a book, so talk to us. What are your hopes for a title? How does it build up an author’s oeuvre or expand the genre? As stated above, prepublication reviews are our goal, but we will consider works published within the last three months that hold special significance for library collections. For review consideration, advance copies are appreciated, but not necessary; we prefer to review from the finished copy when available (unless the galley is very high quality). We do not review single-issue comics, only hardback or paperback compilations. Please send titles for review consideration as close to the publishing date as possible. Bibliographic information and promotional materials should be included in your package. If advance copies of a title with color illustrations are in black and white, please send or make available sample color pages or a color pdf. Please submit CDs for review as soon as they are available‚ whenever possible, at least two months prior to their release. Promotional material must accompany each audiobook, noting publication date, number of discs, number of hours, whether abridged/unabridged, narrator, category, ISBN, and price. Please also specify whether an MP3-CD and/or digital downloadable edition is available. Send audio recordings to: Stephanie Klose, 123 William St., Suite 802, New York, NY 10038; 646-380-0729; sklose@mediasourceinc.com. DVDs are eligible for review in LJ if they are designed for an adult audience (public and academic) and were produced no earlier than 2010. Complete editions of appropriate releases should be sent along with information on the program’s running time, distribution (name, address, phone, URL), all price information (MSR, rental, shipping/handling, public performance, etc. ), ISBN or UPC, and closed-captioning if available. Send DVDs (either screeners or the final copy) to Bette-Lee Fox, 123 William St., Suite 802, New York, NY 10038; 646-380-0751; bl.fox@mediasourceinc.com. Reference products and online resources, designed for both general and academic users, should be sent to Mahnaz Dar, Library Journal, 123 William St., Suite 802, New York, NY 10038; 646-380-0727; mdar@mediasourceinc.com. 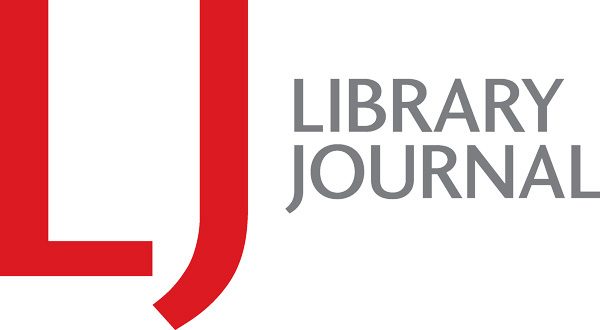 In addition to reviews, LJ also publishes subject or genre-specific review columns and articles on collection development and/or readers' advisory. Publishers may request a list of the planned columns and special roundups on the editorial calendar from their sales rep. To submit materials for potential coverage in a specific column or article, contact Stephanie Klose; sklose@mediasourceinc.com. To pitch an author for special coverage in LJ, contact Stephanie Klose; sklose@mediasourceinc.com.